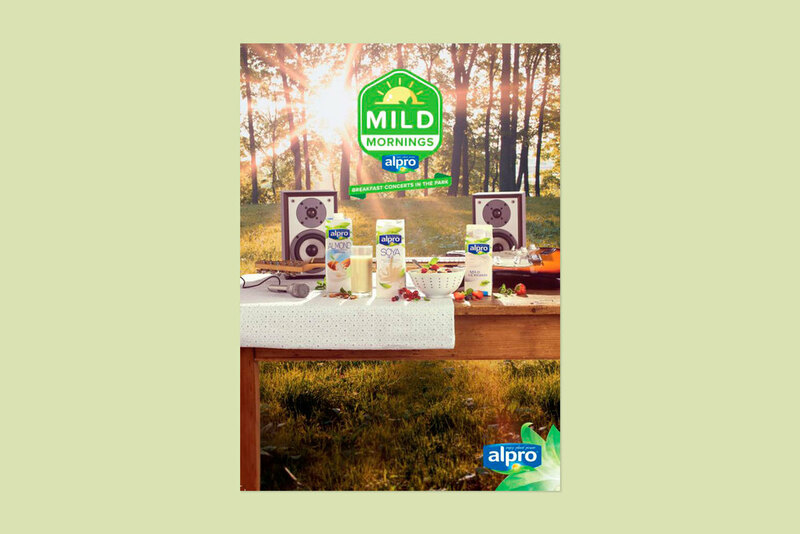 Within Alpro's strategy to install its inspiring range of products at as many breakfast tables as possible, they asked us to develop different brand activation initiatives. We started with this one. 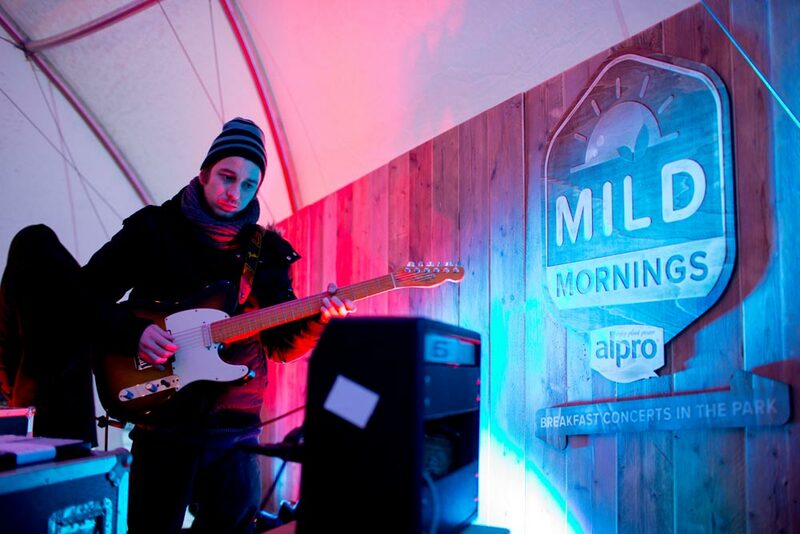 Alpro allows consumers to vary their breakfast habits, thus delivering them a “mild morning” experience. 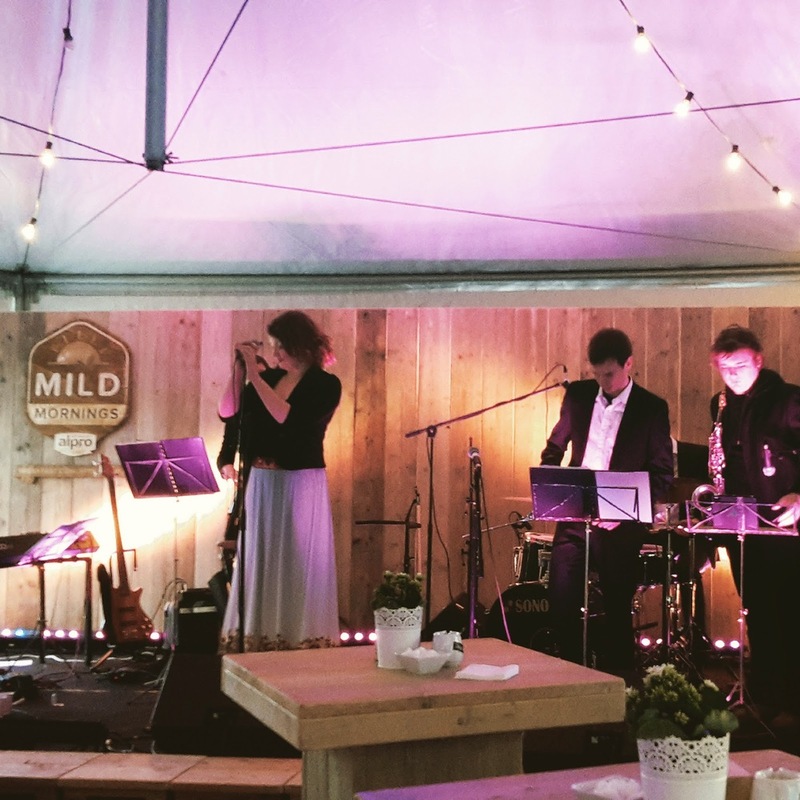 So, we created the epitome of a mild morning: a series of luxurious and inspiring group breakfast concerts at sunrise in a park. The events took place in the middle of winter. For a first edition, a limited number of journalists, bloggers and trendsetters were invited, clearing the path for the communication campaign that led towards the main event with hundreds of Alpronistas. They could even win their ultimate Mild Morning: a trip to Lapland.